Sangin is little more than a small town on a remote river running down to the desert plains of southern Afghanistan. It is a scatter of battered concrete administrative buildings, a scruffy bazaar and narrow lanes between mud-walled compounds under a burning sun. Three years ago it was one of the first objectives of the new British deployment into Afghanistan's Helmand province. It is fast becoming the symbol of all that is going wrong there. On Friday morning five British troops died in double blasts as they patrolled south of the town. The tactic that killed them is simple: a first bomb to immobilise the target, a second to destroy them. Perfected in Iraq by al-Qaida, the Taliban are now making it their own. The insurgents know better than to fight the massive power deployed for set-piece operations like that under way a hundred or so miles to the south of Sangin, with its hundreds of helicopters and thousands of US marines. They wait, weeks and months, and then strike. Time, after all, is on their side. Three other British soldiers were killed on Thursday and Friday, bringing the total to 15 in 10 days. One of the first to die in the latest spasm of violence was 20-year-old Christopher Whiteside of the Light Dragoons, killed last Tuesday night, also by a hidden roadside bomb. Pictures filmed by the BBC a day or so before his death showed him grinning sheepishly, sitting in the dirt, his rifle beside him, as his comrades made fun of him and the cameraman. Forty-eight hours later came the bang, the spatter of metal shards, the shock, the shouting, the pain and, for Whiteside, the end. The total of British dead in Afghanistan is now 184, more than were lost in Iraq. The Americans have lost 103 this year and 657 in all. With the wounded included in the count, the last six weeks have been by far the bloodiest period for the coalition forces in Afghanistan since 2001 and the almost bloodless intervention to depose the Taliban and eliminate the terrorist camps where those responsible for the 9/11 attacks trained eight years ago. Back then no one thought the west would still be fighting in Afghanistan nearly a decade later. Now, senior officers and planners privately admit, if we are not still fighting in five years' time it will be because we have lost, and left. In the short term the degree of violence this summer was not unexpected. Back in the late spring western intelligence officers spoke of a "casualty surge" to match the "troop surge" ordered by President Barack Obama in a bid to break the stalemate in the battle against the Taliban. Not only were there going to be thousands more troops pushing into areas where they had never been before but the enemy was more formidable than ever. "They are very much more stood up this year. They have got their tactics sorted out, their logistics and their discipline," said one western intelligence source in Kabul in April. "It is going to be a long, tough summer," the then overall commander in Afghanistan, General David McKiernan, told the Observer. Last week the prime minister, defence secretary and others all warned the British public to expect further losses. The strategy that the headquarters of the International Security Assistance Force (ISAF) in Kabul are putting into action has been meditated and worked on for at least four years, since senior American soldiers began to understand their failures in Iraq. Individuals like David Kilcullen, a former Australian infantry officer with a degree in political anthropology, joined the Pentagon's best and brightest to thrash out new ideas. The result was radical change. Instead of the primary aim of coalition soldiers being to track and eliminate hostile enemy fighters, effectively raiding the countryside from heavily defended bases, it became protecting the population from the insurgents, Kilcullen explained to the Observer last month. It needed more troops, more money and, sceptics say, a lot of luck, but in Iraq the approach was credited with ending a violent downward spiral. 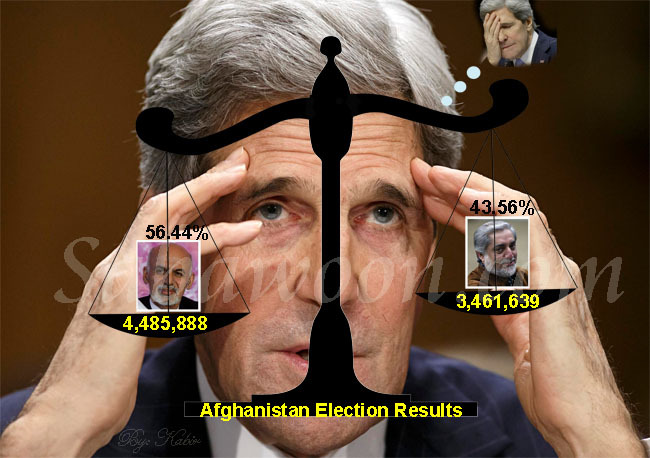 The election of Barack Obama meant new impetus to try the strategy in Afghanistan. Most of the 15 British soldiers killed in the past fortnight died trying to implement it: out on patrols aimed at reassuring the locals, by showing them that the coalition, not the Taliban, was best placed to assure their security, and win their trust and the elusive 'hearts and minds'. Along with the new troops needed to push back the insurgents from zones where government authority was non-existent, known as "clearing" the environment, the strategy places a new emphasis on "holding" the new territory, primarily using the fledgling Afghan National Army. To the east of Kabul, an empty, dusty plain has been converted into a vast training camp for the forces which, it is now hoped, will reach 130,000 men, or even 300,000 eventually as some suggest. A sign outside the $92m centre reads: "Unity starts here." "Spread the good news about these fine soldiers," said Colonel Brian Redman, the American officer in charge of training. Elsewhere there are police being prepared, too - though in smaller numbers and with less resources. The police are "the face of the Afghan government" and thus "the strategic hope", British senior officers say. Finally comes the third part of the strategy: "build". The new security should allow a "development surge" with hundreds of civilian advisers and much more money available to finally get the schools, clinics, roads and police stations promised to the population built. With the insurgents at bay, it is hoped that voting can go ahead smoothly for the presidential elections, giving a vital boost to the flagging project of building a functioning democracy in Afghanistan. "The elections are very, very important to turn around the mood and re-energise the process started [eight years ago]," said Fernando Gentilini, the Nato senior civilian representative. Then there is a political track, looking at restructuring the distribution of power within Afghanistan and possible deals with "moderate Taliban". And finally there is a regional diplomatic initiative with a host of new "special representatives" appointed to try to bring Afghanistan's neighbours on board, to mitigate the harmful effects of neighbouring Pakistan's internal instability and to end its security establishment's apparent support for the insurgents. But, though this new comprehensive approach sounds very plausible, especially on a Powerpoint slide at the headquarters in Kabul, making it work is something else - as the soldiers at the sharp end in Helmand are finding out. The first problem is with the objective of protecting the population. Though western politicians have long described the war in Afghanistan as being fought to defend the Afghan people against the Taliban, the tougher truth is that the Taliban, almost exclusively composed of members of the Pashtun tribes who comprise at least 40% of the country's population, are an integral part of the Afghan people. There are some foreigners among them, but most of those that come from Pakistan are often the children of Afghan refugees or simply Afghans studying in Pakistan's religious schools. In part, the Taliban represent the conservative, rural, religious Pashtun Afghanistan; in contrast, the more modern, cosmopolitan, urban Afghanistan of Kabul, the current government and its power base among the country's non-Pashtun ethnic minorities, are the people who stand most to profit from the success of the western-run "modernisation" of the country. On the ground certainly, at least in Helmand and across much of the south and east, the Taliban are almost impossible to distinguish from the population. In April, the Observer watched as an American infantry officer in Logar province moved at the head of 120 heavily armed troops through a sullen, silent village. Knocking on one door, he was greeted with salaams, smiles and an invite to tea. The house was that of the senior Taliban commander in the area who was, predictably, away. Elsewhere, locals habitually use Taliban judges because they are more honest and much quicker than their corrupt government counterparts. Some Taliban are local criminals - though less so, following recent purges ordered by the leadership. Often the insurgency attracts teenagers with little else to do. One Afghan MP told the Observer that she had been approached by many parents in her constituency worried about their children's exam results. "Their sons have been out at night firing rocket-propelled grenades and not studying," she said. "They can tell because the kids are half deaf." Development, it is hoped, will drain the reservoir of unemployed Afghans who might join the insurgents. "Give a guy a spade and he won't pick up an AK47," said Lieutenant-Colonel Steve Osterholzer of the 10th Mountain Division. But though popular programmes such as the successful village-based National Solidarity Programme can consolidate government authority where it already exists, it may not actually cut the violence where it does not. Though some fight for cash, interviews with captured and active Taliban reveal the insurgents to be less motivated by economics than many think. Power, politics, culture, feuds, ethnicity, tribal vendettas and Afghan history also play a big part. Often the western coalition is unwittingly deepening longstanding divisions in an Afghan society fragmented by decades of conflict and competition for scarce resources. The new National Army should bind the country closer together. But its upper ranks are dominated by former communist officers who fought with the Russians against the fathers of many of the new Taliban commanders in the 1980s. Worse, there is a serious ethnic and geographic imbalance. "There are almost no recruits from the south," admitted General Ali Ahmed, the commander of the training centre and himself a veteran of the war in the 1980s, during which he fought in the auxiliary army created and armed by Moscow. Adding to the image of the national troops as an "army of occupation" in the restive south and east are their new weapons: American-supplied M16s. Then there are the police who, every one agrees, are key. But they are rarely paid and are often violent and corrupt. "It is difficult sometimes when we have so little money," shrugged a policeman in Wardak province. Local power-brokers do their best to make sure their men are recruited. Again, the ethnic and tribal mosaic of Afghanistan stymies western efforts. If police are local, they are corrupt; if they are from far away, they are seen as an enemy. Add to this a regional picture which most analysts expect to get worse before it gets better. The political track is blocked because the Taliban want to negotiate while they think they are winning and because concessions that might win them over are politically impossible given the western governments' loud commitment to gender equality, human rights and religious moderation. In sum, there appears little reason to hope for any kind of negotiated breakthrough in the near future. In Kabul - and in Washington and in London - all this is well-known. "No one is saying this is easy ... it isn't," a senior United Nations official said. For the strategy to have even a slim chance of success, what is needed is a lot of money, a lot of men and a lot of time. "[It will take] ten to fifteen years, including at least two years of significant combat up front," said Kilcullen, the senior Pentagon adviser. The "tipping point is in three to five years," according to a Kabul-based British staff officer. The average successful counter-insurgency campaign takes 14 years, he pointed out, adding ruefully that "the unsuccessful ones are over quicker". But the problem is that time is not on the side of the coalition. The war in Afghanistan has been unpopular in continental Europe for a long time. Since ten soldiers died in an ambush last year, French troops travel in heavily armoured vehicles, making friendly relations with locals difficult. German troops cannot move at night. In the UK, once solid support is slipping fast. The complaints about equipment are genuine but mask a deeper anxiety. One Whitehall official points out that support would come back fast if there was some good news, but there is none for the moment. In the US, time is short. "We have two or three years ... If there is no serious progress then, it's over," one US senate staff adviser told the Observer last week. Those running the war are thus caught in a vicious circle. The more western domestic populations waver, the stronger the Taliban are. Village elders side with those who are going to be around longest and, having seen the Russians leave in haste, they prefer the devil they know will always be around to the devil they think is going to leave. But the stronger the Taliban are, the more unsure western publics are. In a bid to assuage the public and find an exit, politicians are now frantically "relooking objectives" in Afghanistan, as one Whitehall official put it. All that is not directly related to security is being jettisoned. But that is just contributing to the confusion and depression. Having been told that the troops are there to build a better future for tens of millions of people and to liberate Afghan women as well as stamp out the runaway narcotics industry and catch Osama bin Laden, the sudden shift in rhetoric grates. No one seems very sure what "victory" actually looks like any longer. Winning, an ISAF officer says, "means a viable Afghan governance capacity at provincial or district level" which is hardly what the dead soldiers' families thought that they were fighting for. In the middle, of course, are the ordinary Afghans. Tomorrow Hamesha Gul, 45, a farmer in Logar province, will head out into his fields as he has done every day of his life. Long years of conflict have taught him to be wary. "The Taliban come when it's dark," he said. "I do not know where they come from. We do not go out at night. It is too dangerous. We lock the doors and stay quiet." Sending more troops will be seen as a sign of Brown's determination to show real progress in Afghanistan before the general election. Barack Obama is also known to have told commanders he wants demonstrable results within a year. The change of thinking comes as the new US commander in Afghanistan, General Stanley McChrystal, is preparing to publish a major review of operations within the coming weeks. Former Tory foreign secretary Sir Malcolm Rifkind said Brown had no option but to order the MoD to loosen financial controls: "The needs of combat operations are always additional to normal MoD funding. We did not defeat Hitler by deciding what we could afford." Left-wing Labour MP Jon Cruddas today calls on ministers to scrap plans for the multi-billion-pound new Trident missile system and to switch resources to "protect soldiers on the front line". Lib Dem defence spokesman Nick Harvey said public patience with the Afghanistan mission was limited. "The public will understand us making sacrifices if there is a sense of progress, but if there is no sign of it soon they will become impatient." Shadow defence secretary Liam Fox said: "The price of failure in Afghanistan is too great to contemplate. But we must give our armed forces the equipment they need. The decision to cut the helicopter budget in 2004 was disastrous"
Anti-war campaigners announced yesterday that they will stage an emergency protest outside Downing Street tomorrow calling for British troops to be withdrawn from Afghanistan. An increase in the number of British troops will please President Obama, who increased the US deployment in Afghanistan by 17,000 to 55,000 in February. Obama has repeatedly stated his commitment to win in Afghanistan, citing the spectre of an Islamist takeover of Pakistan's nuclear bomb as a prospect that could not countenanced. Diplomatic sources say that a change in the wider Nato strategy - including still more US forces - will be outlined in a new Civil-Military Plan, presently at a draft stage. It represents the recognition by McChrystal and his advisers that the mission in Afghanistan has been blighted by historic errors, not least the decision to split responsibilities for five key post-conflict roles to five different nations - including rebuilding the police, counter-narcotics and reconstruction - which is blamed for creating a sense of muddle. "We are going to see a connectivity in efforts that we have not seen before in Afghanistan when McChrystal signs off on this," said a military source. The MoD's projected figures for the coming year, given to parliament last week, suggest the annual bill for the Afghan war will rise by more than £1bn compared with last year, a jump of more than a third, swallowing almost all the savings made by withdrawing from Iraq and raising questions about how long it can be maintained. So far, much of the cost of the operation has been met from Treasury reserves rather than from within the defence budget itself. A recent paper by Malcolm Chalmers of the Royal United Services Institute estimated that defence budgets may already have to be cut by between 10% and 15% over the six years from 2010 as part of government attempts to bring down the deficit. This year's rise was triggered by additional security costs around the Afghan elections, as well as a 200-strong expert team brought in to counter roadside bombs, and urgent operational requirements such as modifications to helicopters, Tornado aircraft and other force protection measures. Although Gordon Brown told the Commons only three months ago that the war was expected to cost about £3bn this year, the figures show that is already out of date, with up to £3.4bn projected for this year.